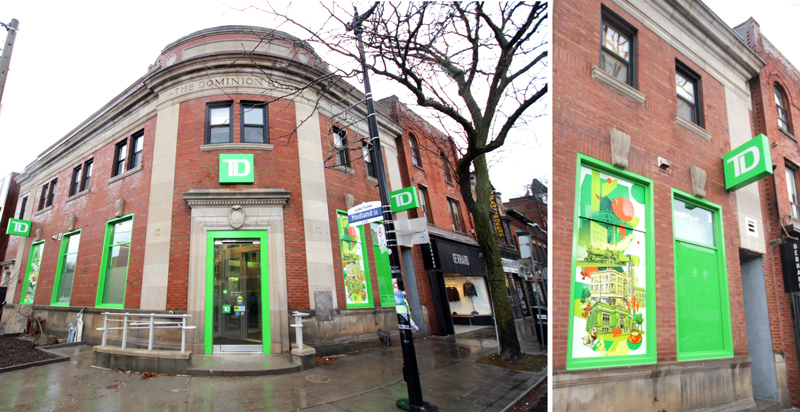 This Dominion Bank was designed in 1918 at the southwest corner of Dundas Street West and Medland and closed 17 yrs ago. 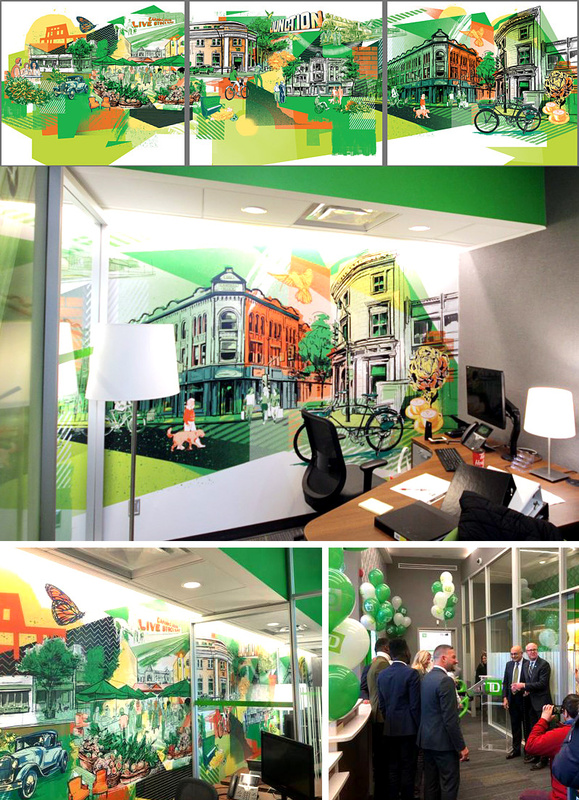 In 2018 TD Bank moved back into this original location and we were asked to do murals celebrating the rich history of Toronto’s Junction neighbourhood. We designed and drew murals on two exterior windows & the interior wall covering the back walls of three offices. Thanks to TD’s Ann Solecki, BGIS’s Michele Griffin, & Petroff’s Gary Paulmert for collaborating with us & Kubik for printing and installing the artwork. 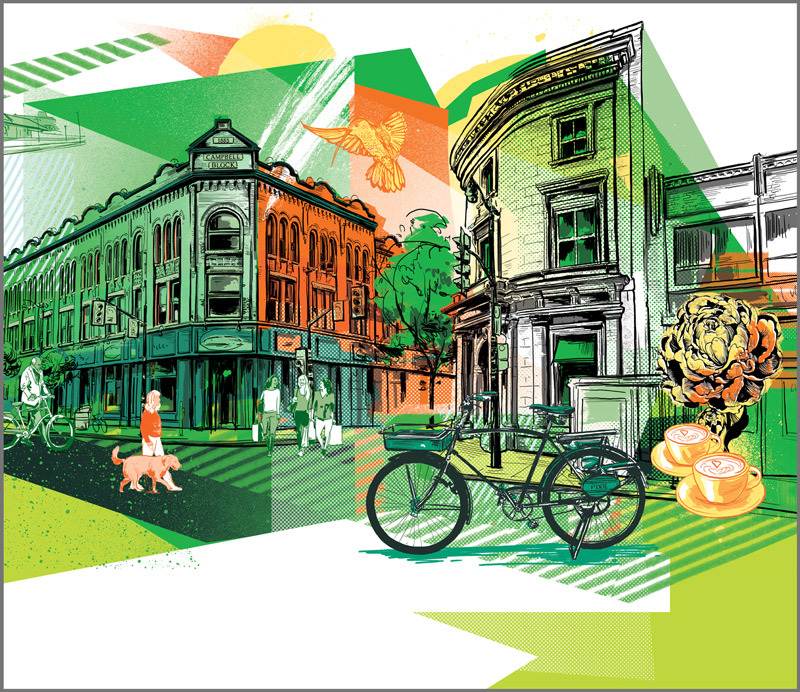 The artwork embraces the beloved neighbourhood’s past and celebrates it’s future, melding old and new. The fascinating history of the are a dates back as the year 400, when First Nations people established a trail network which ‘junction’ in the area. Later it came home to a crisscrossing of 4 major railways. The village was founded in 1884 at the intersection of Dundas and Kelle and quickly became a manufacturing community that was home to foundries, furniture assembly, metal processing, nail and wire factories as well as notable companies as the Canadian Ccyle and Motor Co (CCM), Campbell Millign Company, and the Heintzman Piano Company. Also home to many immigrants who flocked to the area for work. 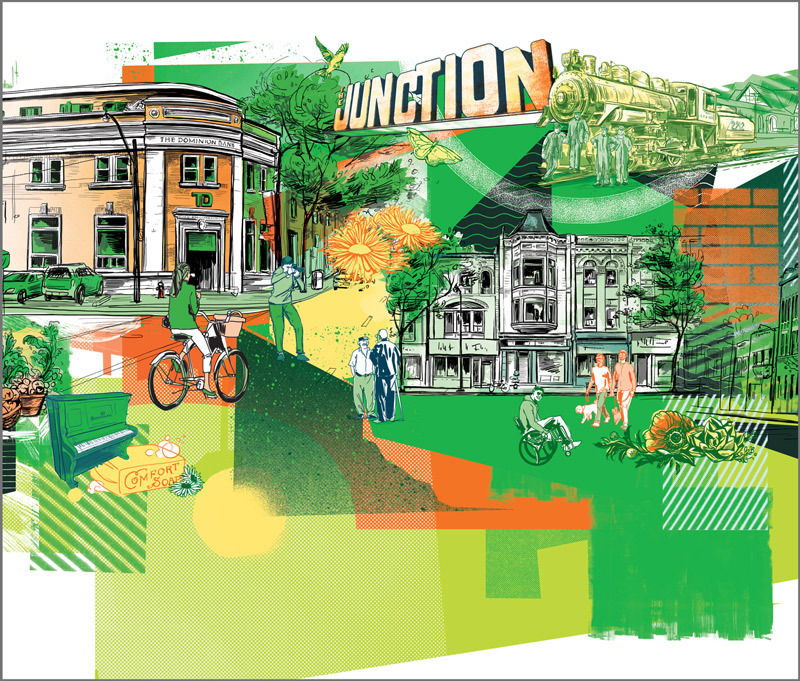 The Junction has experienced both boom and bust with a long point in the late 1800’s during the Long Depression. As depression settled in and industry suffered so did the residents and many turned to the bottle. In an effort to curb alcoholism and Mayor instituted Prohibition in the area that was finally eliminated in 2000! 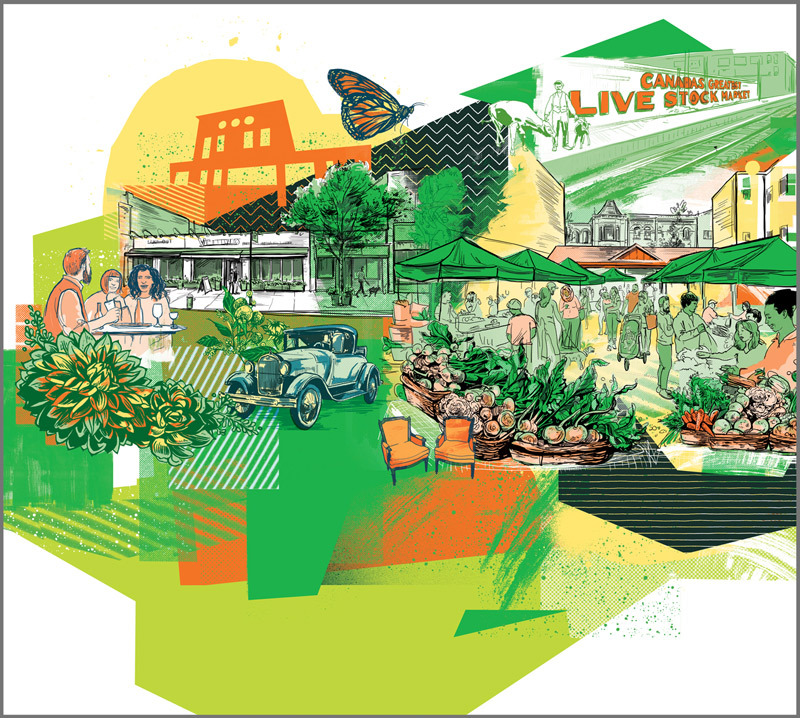 Now the area is home to many bars, restaurants and a flourishing art scene.